When it comes to creating an E-Zine, there aren’t many rules, but there are quite a few ideas. Some companies merely take their magazine and place it on the web in electronic form. Other companies try to create something from nothing purely in an electronic format. Content is definitely important, but so is style … you want to draw the visitor into the magazine to have them stick around and browse through the offerings. America’s Essential Hospitals is an association that represents more than 250 hospitals and health systems dedicated to high-quality care for all. The association supports its members though advocacy, policy development, research and education. 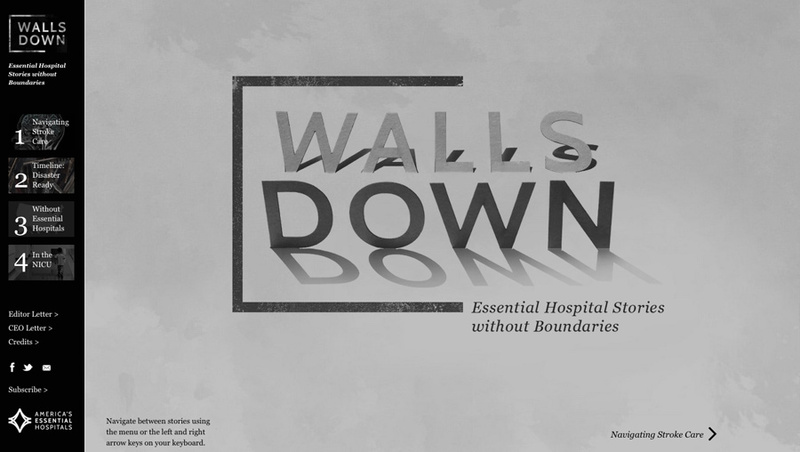 It recently produced an online magazine called Walls Down. The E-Zine contains excellent writing and sharp graphics with a unique layout that is easily navigable. It is one of the most creative efforts around.